A common requirement when working with molecules is to display their molecular structure as an image. 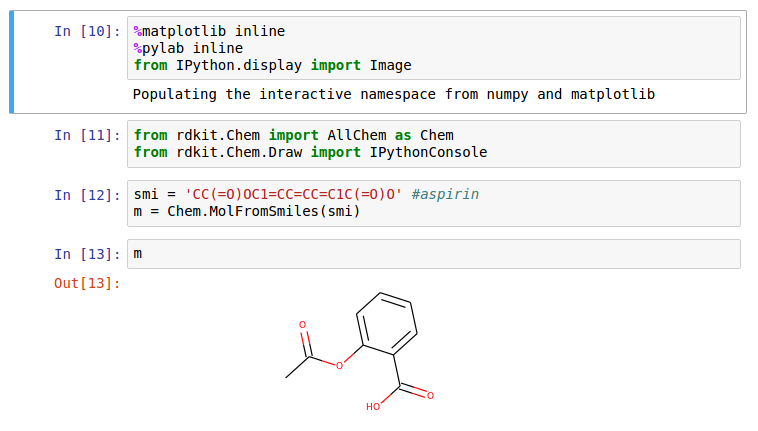 To do this in iPython Notebook requires some simple steps. Below is a way how you can do it. Enjoy!